Activision will be streaming a pre-E3 live show this Sunday before E3 officially begins in order to share new details on Call of Duty: Ghosts, they announced Tuesday. The broadcast will be available from a variety of streaming locations such as Callofduty.com, the Xbox 360 Machinima app and “other online destinations” on Sunday June 9 at 11 am PT/2 pm ET. Call of Duty: Ghosts, the tenth major title in the Call of Duty franchise, will place players in the shoes of the remaining special forces left in the world. The addition of AI dog companions, which have been rendered from real service dogs through use of motion capture technology, were a highlight of the game’s reveal at the Xbox One unveiling on May 21. In addition, improvements to the AI can also be seen in the game’s environment, such as fish moving out of your way when traversing underwater. 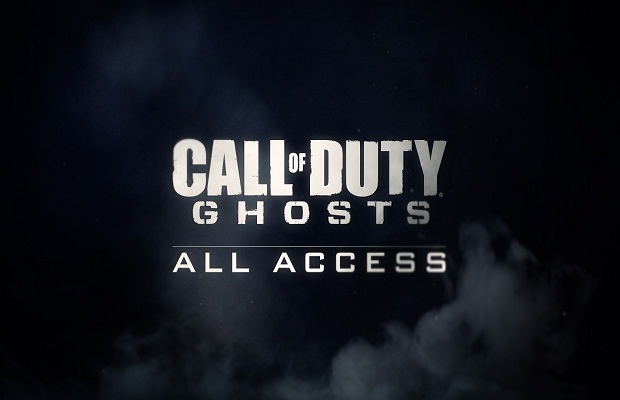 Also announced at the Xbox One event was the fact that all DLC for Call of Duty: Ghosts will be timed-exclusives for the Xbox One, but will release on PC, PS3, PS4 and Xbox 360 at a later date. Will you be tuning in to watch the broadcast this Sunday? Follow and like us on Twitter and Facebook to be a part of the conversation.